HSS 90deg. 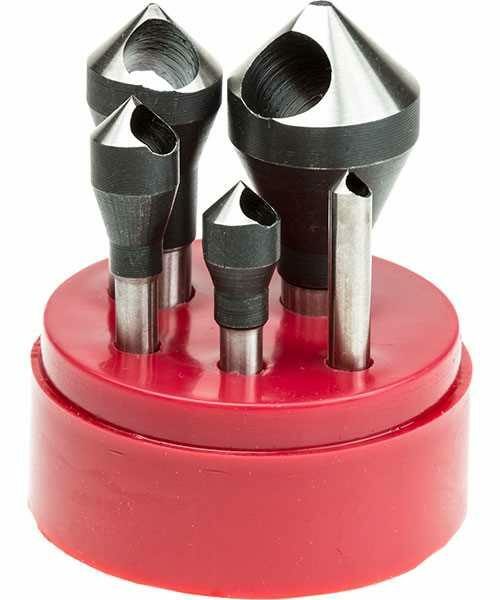 Countersink / Deburring - 5pc Set. Cross Hole (or Zero Flute) countersinks are used for chatter free deburring, countersinking and chamfering of ferrous & non ferrous metals, wood, plastics etc.